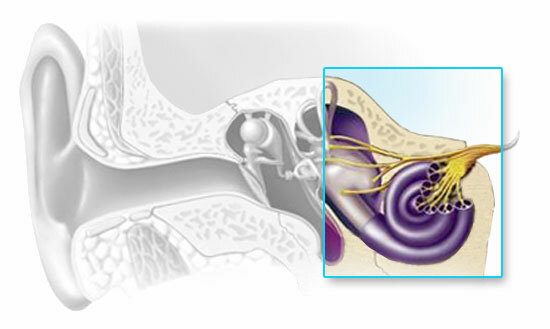 Sensorineural hearing loss results from inner ear or auditory nerve dysfunction. The sensory component may be from damage to the organ of Corti, an inability of the hair cells to stimulate the nerves of hearing, or a metabolic problem in the fluids of the inner ear. The neural (or retrocochlear) component can be the result of severe damage to the organ of Corti that causes the nerves of hearing to degenerate, or it can be an inability of the hearing nerves themselves to convey electrochemical information through the central auditory pathways. 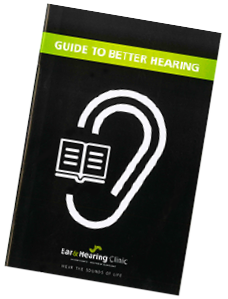 The cause of sensorineural hearing loss sometimes cannot be determined, it typically does not respond favourably to medical treatment or common solutions, and it is usually described as an irreversible, permanent condition. Like conductive hearing loss, sensorineural hearing loss reduces the intensity of sound and it might introduce an element of distortion in to what is heard, resulting in sounds being unclear even when they are loud enough. Once any medically treatable conditions have been ruled out, individuals with a sensorineural hearing loss can be fit with hearing aids to give them access to speech and other important sounds.